Mel completed a BN Hons Degree as a Registered Mental Health nurse in 2011, and joined CAIS as a staff nurse based at Hafan Wen. 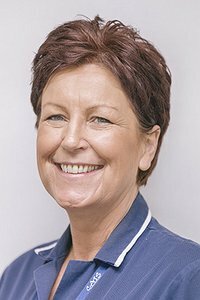 She has progressed her career within Hafan Wen, first as as lead nurse and then deputy manager - before being appointed unit manager in late 2017. Her role is to ensure that the team offer a professional, person-centred service, and a safe environment - delivering evidence-based care for people undergoing detoxification from substance misuse.